I received a Framed Disc Necklace in exchange for this post. All opinions are my own. My son and husband are my world. I love waking up every morning knowing that I get to spend my day playing catch, building block towers, reading books galore, snuggling, dancing, and laughing with my son. Every evening, my son and I anxiously await the arrival of my husband. As soon as daddy gets home from school, the fun continues with many adventures and smiles; I love my boys. I’m so glad that I am able to share this love for the special people in my life by wearing my beautiful HayJac Designs‘ Framed Disc Necklace. Handmade to perfection by a mother who understands the importance of quality jewelry, HayJac Designs provides beautiful customizable jewelry. 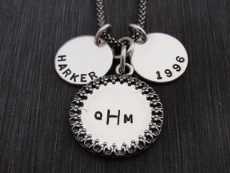 Personalize HayJac Design’s jewelry with meaningful names, initials, dates, words, etc. to celebrate the things that matter most in your life. Looking for the perfect mother’s day gift? Send the woman that matters most to you personalized jewelry from HayJac Designs. I am completely smitten with my HayJac Design’s Framed Disc Necklace. I love that I was able to personalize my necklace with significant names, dates, and initials; my son’s name, the initials of everyone in my family, and the year my husband and I were married. 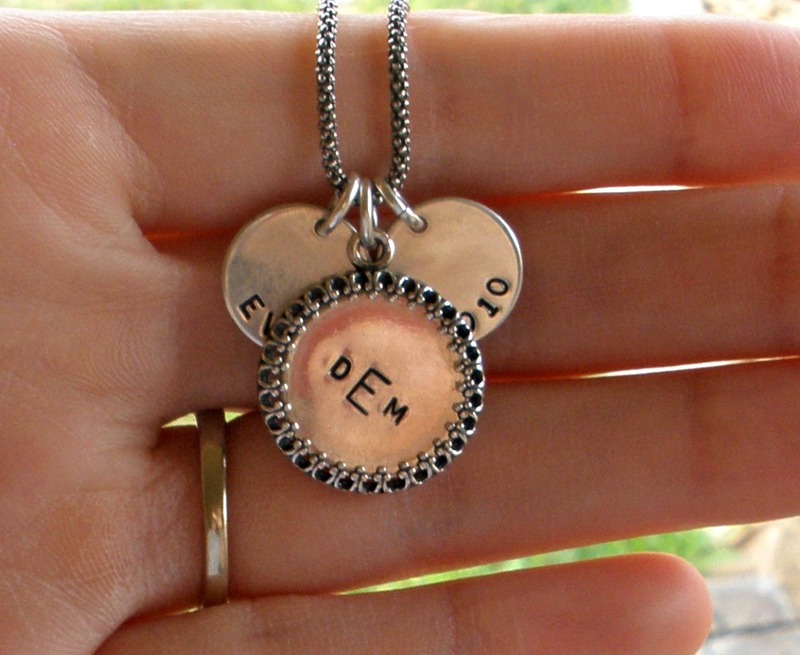 Not only is this necklace extremely meaningful, but I adore the design. The vintage frame around my family’s initials adds such a unique and rustic touch. I love this necklace so much, I hardly ever take it off. Not only do I love the look of this necklace, but I love how sturdy it is. Whenever I wear necklaces, my little toddler often pulls on them which causes them to break. However, this top quality necklace has brilliantly withstood the “toddler test”. HayJac Designs’ gorgeous sterling silver Framed Disc Necklace is a timeless piece of jewelry I look forward to enjoying for years to come. 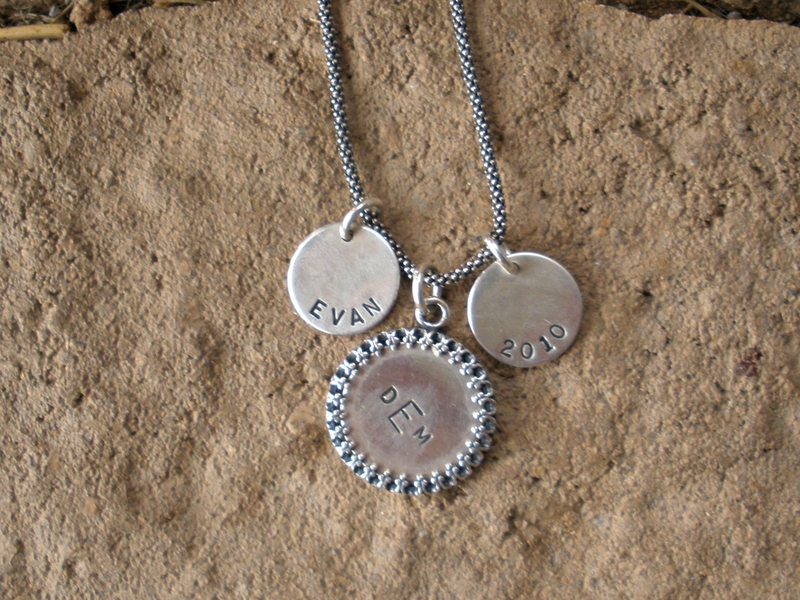 Celebrate the things that add meaning to your life by ordering a Framed Disc Necklace ($90) at www.hayjac.com.